What does it take to become a professional golfer in Australia? Imagine you have grown up playing a sport you love, completing a degree in that sport at university, and then planning on teaching that sport for the rest of your life. It might sound like a dream to some, but it’s a reality for golf professional Matthew Duncan. When Duncan found golf as a kid, the game provided something different because it had an individual component that was harder to find in other sports. “The whole time I played football or played team sports and things like that,” he told upstart. Once Duncan realised sport was a genuine career path, he undertook a Bachelor of Business majoring in professional golf at Griffith University on the Gold Coast. As an 18-year-old boy from Geelong, Duncan thought it was a big decision to move to the Gold Coast, but was willing to take a chance because it was doing something he loved to do. Once completing his studies he made the choice to live out his passion in Victoria as the head professional at the Gisborne Golf Club. Like Duncan, some of Australia’s best golfing talent has come from Victoria, including three-time winner on the PGA tour Marc Leishman, who grew up in Warrnambool. Victoria is known for the opportunities it provides aspiring golf professionals, which is why there is no shortage of great players. Golf Victoria High Performance Manager, Ashley Marshall, says their programs are a national benchmark. “Our players make up most of the rookie program under Golf Australia,” he told upstart. “The Victorian Institute of Sport program is the benchmark program for transitioning players into the professional ranks”. Players within this program work directly with the VIS head coaches who utilise all national and state service providers. However, the real challenges these players face is getting to the final stage, and taking on the world. Marshall believes many other countries have stronger development programs for their golfers. This means it’s difficult for Australia to compete with other countries within Asia and the United States. “Golf is a big sport there [Asia] like netball here [Australia] and many girls play,” Marshall said. Marshall believes this is the case because Australia does not have its own national circuit. “Australia does not have a tour like Asia and the United States, this means many of the young Australian talent must travel overseas to earn a living,” he said. This lifestyle change can be difficult for players, with Marshall saying it’s another reason why some don’t make it to the top level. “It means travel and living away from home for long periods and or relocating. Some handle that ok, some don’t,” he said. Travel is not the only barrier players face. Once they settle into a new environment the opportunity to play in competitions and the associated costs also become a concern. 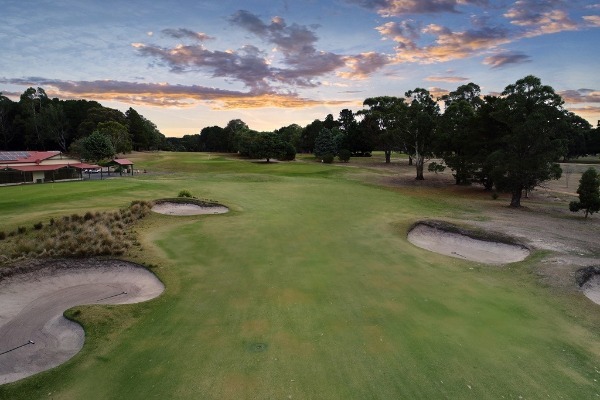 However, some programs provided by state organisations like Golf Victoria assist golfers financially. According to Marshall, Golf Victoria’s VIS and EP programs support players financially by providing coaching, sports science and travel. Despite the support provided to these young athletes, many find it difficult to simply stay committed. Marshall recognises this as why some pull the plug on the game. “Some do leave [specialised programs] and it is often because they lose the drive to work hard and keep competing, or just don’t like the environment,” he said. On the other hand, an established professional like Duncan, believes the most crucial aspect of becoming a professional is having the correct drive and attitude. “The main thing is to have the right attitude towards what you are doing, there’s a lot of talented golfers who just don’t have the right attitude,” he said. Duncan says that despite the early morning starts and long work hours, he wouldn’t change careers. “It’s teaching people how to play the game that you love, and it’s a rewarding way to make a living,” he said. Cover photo used with permission of Gisborne Golf Club.